Sakot Kota Kinabalu i Kota Kinabalu, Malaysia: Reservér nu! 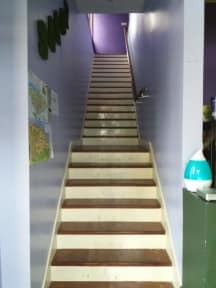 We offer you the friendliest backpackers hostel lifestyle for travelling that’ll get you new friends from all over the world. Upon your arrival there will be friendly staffs welcoming you, and cosy rooms waiting for you. 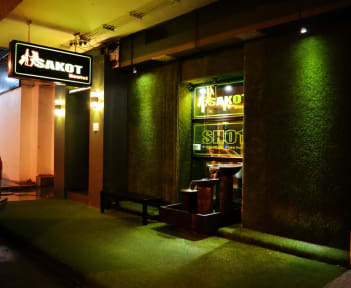 The history and idea of “Sakot Hostel” come out after the owner or founder of this hostel by the nickname of “Sakot” went out for travelling in Asia and Europe. The meaning of “Sakot” is “Grass” in English which came from local words Kadazan Dusun Murut (KDM). Sakot Hostel is newly built but rated one of the best choice in Kota Kinabalu City. - Personal bathroom complete with water heater, sink and toilet bowl. - Every bed have own personal power supply (Socket / reading light). - Every bed are complete with clean linen (Bed sheet, Pillow cover, Blanket, Towel). - Every bed have New Spring Mattress with thickness of 8 inches. - Every bunk bed was designed and built with its own creativity and use heavy duty material for the iron metal bar, which is more durable and will not easily bent which can deliver more comfort for good and quality sleep, after a tiring day. * Padang Merdeka (city’s main bus and taxi terminal). * The Sunday Gaya Street Market. * Signal Hill Observatory Tower. * A variety of local restaurants and coffee shops. * A variety of convenience shops, supermarkets and shopping malls. * Check-in from 2 PM (14:00); check-out before 1 PM (13:00). * Reception desk opens from 4 AM – 2:30 AM; and closes from 2:30 AM – 4 AM. * Cancellation policy: Notify 72 hours before arrival. * Cash (no extra charges). * Credit or debit cards (with 3% charges of the amount).